It's easy to tell when your personal debt load has gotten out of hand. Your credit cards are maxed out, you run out of money before payday, and you get calls from debt collectors. But early warning signs of personal debt trouble may be more subtle. Recognizing the early signs of financial peril can help you take action before your circumstances become dire. Your debt-to-income ratio is a measure of how much of your income goes toward paying off debt. A ratio greater than 20 percent could be a harbinger of trouble. To calculate your debt-to-income ratio, divide the total of your minimum monthly debt payments, excluding your housing payments, by your monthly income after taxes. For example, if your minimum monthly debt payments total $600, and you bring home $2,400 per month after taxes, your debt-to-income ratio is 25 percent, a number higher than the National Foundation for Credit Counseling recommends. Committing so much of your income to paying off debt could result in trouble if unexpected expenses eat into your safety margin. 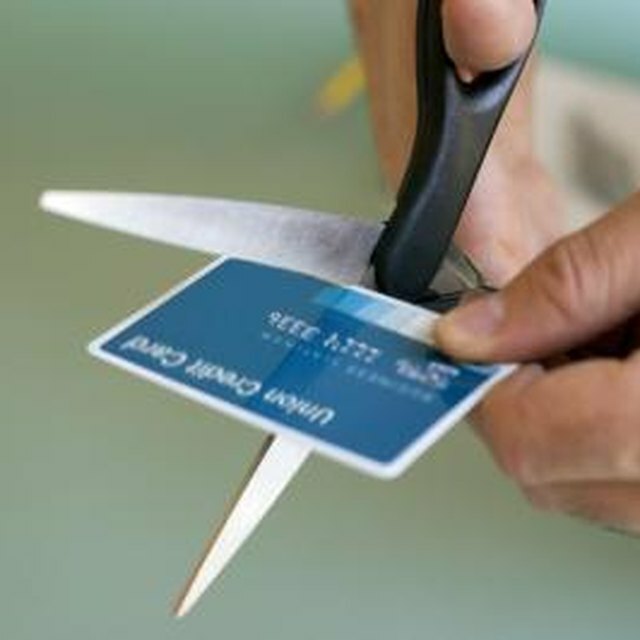 How you manage your credit cards can indicate signs of trouble with personal debt. If you're using credit cards to pay for necessities such as groceries and utilities, you may soon find yourself in trouble. If you pay the entire balance on your credit cards every month and you don't get hit with finance charges, you may be able to juggle the balances without consequence. However, if you carry a balance and pay interest and finance charges on basic food and shelter, your lifestyle may not be financially sustainable for long. Whether you call it your emergency fund, your rainy day fund or your cushion fund, a low balance in your savings account can signal future financial problems. The Association of Independent Consumer Credit Counseling Agencies recommends that savers maintain a minimum balance of three to six months of living expenses in easily accessible savings accounts. Without this safety net, you could suddenly end up facing a financial crisis if you couldn't work because of job loss, illness or an accident. What Are the Signs of Credit Overuse? The timing of your monthly debt payments can be a sign of trouble if you find yourself paying all your bills later and later. In the course of several months, you might go from mailing your credit card payment a few days before the due date to making an online payment on the due date to sending a payment by overnight mail the night before you'll be charged a late fee. Waiting until you receive next month's bill to make this month's payment is another warning sign. NFCC: How Do I Know if I'm in Financial Trouble?